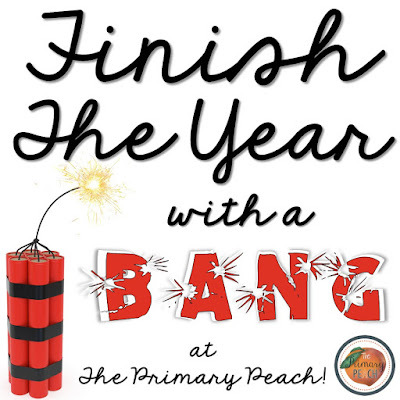 The Primary Peach: Finish the Year with a Bang: Take a Field Trip to the Next Grade! Finish the Year with a Bang: Take a Field Trip to the Next Grade! Hello! It's Jonna from The Primary Life and I'm excited to share a tip on how to end your year with a bang! 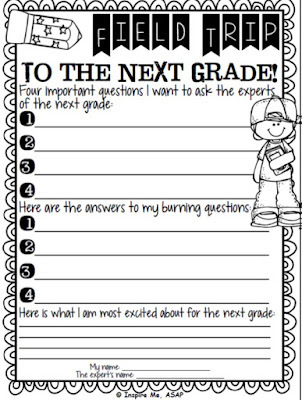 Are you looking for ways to help your kiddos transition to the next grade. How about a field trip? Visit a classroom for the next grade and give your students a chance to experience what it is like. To prepare them for this visit have them brainstorm questions they want to ask students in that grade. Then after they visit they can fill in the answers to these questions. What a great way to get them excited about the upcoming school year! Click on the image below to grab this freebie from Inspire Me ASAP. I hope that this tip is helpful and you have a great ending to your school year! For even more ideas follow us on Facebook, Instagram, Pinterest and Twitter. จีคลับ Online Casino Site The gambler will be able to play the full gambling game you want to play and play at any time. There are many online investments. Can play anywhere. With gambling and gambling, there are a lot of online gambling bets. What do you like to play? It's always a good idea to play at our website every day. You just have to invest in our online investment services, you will receive many promotions at our site.